The scary thing about fully retiring is the obvious thing: the ability to earn stops cold. 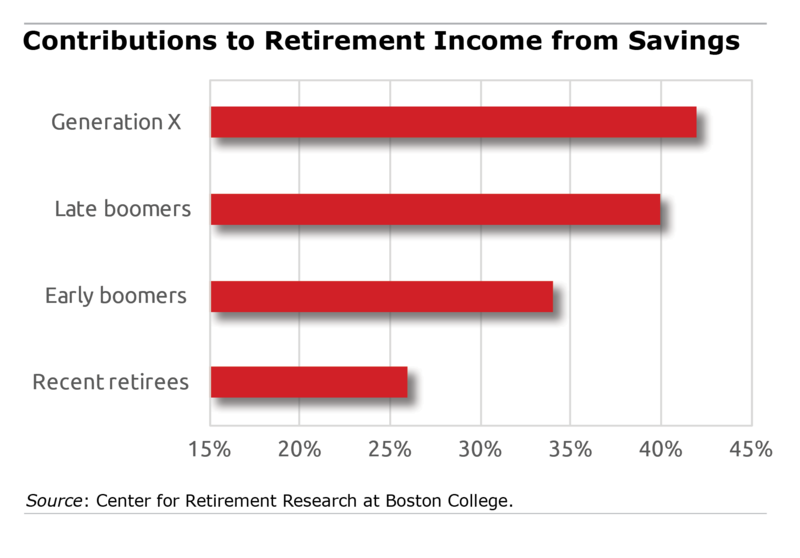 Most retirees live on what they get from Social Security and what they can spend from their savings, if they have any. So how many older Americans with fixed incomes can accurately be described as being in difficult straits financially? Only about 10 percent of retired people today are being forced to cut back on food and medications to pay their other bills, concludes a summary of recent studies on retirement income by the Center for Retirement Research (CRR), which supports this blog. Tomorrow’s retirees have a more troubling outlook, in part because they will be dramatically more reliant on 401(k)s.
In the two years since starting a series of blogs, “Boomers: Rewriting Retirement,” I’ve profiled five willing baby boomers in various phases of retirement as they grapple with a variety of issues. The individual profiles are again posted here, in the event one of them might be helpful to a reader who missed it the first time. And we’re always looking for more guinea pigs, if anyone has an interesting story to tell! Retirement – Ripped from the Headlines! When Squared Away first went live almost seven years ago, few reporters in the mainstream media wrote regularly about retirement. Things have really changed. The Washington Post recently declared a “new reality of old age in America.” The New York Times and The Boston Globe have regular retirement writers. Even The New Yorker – the go-to read for the aging but still hip – dived in and investigated an abhorrent case involving an abused elderly woman. Retirement is a hot topic, because some 10,000 boomers have been retiring daily for years – in fact, the media frequently cite this statistic – and an unprecedented number of the boomers who still work are thinking a lot about whether or when to stop. This blog publishes twice a week, and I don’t have time for the in-depth investigations I did as a Boston Globe reporter. But plenty of newspaper and magazine reporters are exploring retirement issues in great detail. Metropolitan newspapers often cover local nursing homes charged with elder abuse. This lengthy article is about one government-appointed guardian’s abuse of one elderly woman. This extreme case carries a larger message: how readily some people take advantage of the most vulnerable elderly. Here’s some good news: rather than funnel older people into housing strictly for the elderly, multigenerational “co-housing” developments offer children of the 1960s a place to live, where they can remain engaged with younger people – and society.